Mouse silhouette with zebra number 3 and pink bow. 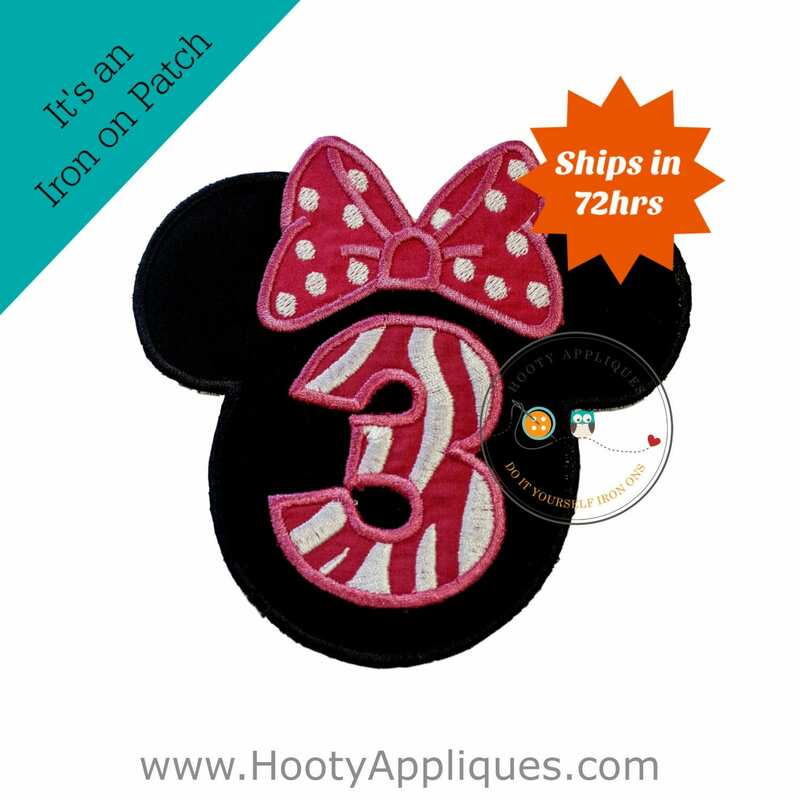 The patch is made with black cotton fabric and embellished with pink and white zebra number three. 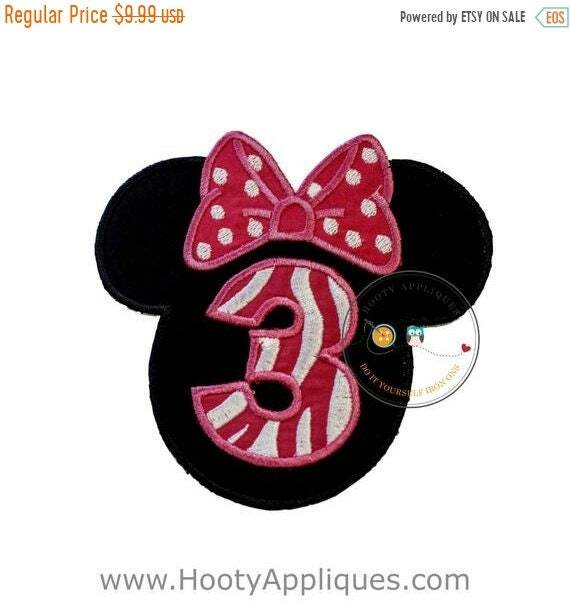 Great for a Minnie Mouse themed third birthday party. *Patch measures 5.0 inches wide by 5.0 inches tall.